Gaming Club Casino is an online casino that has been operating since the early days of internet casino gambling in Canada. Like any other top online casinos in Canada that we feature, Gaming Club casino has an extensive experience in the online gaming industry. The casino is powered by one of the leading online casino software providers, Microgaming. Furthermore, for fairness and good business practices, the online casino is audited by the well-known eCOGRA and licensed by MGA (Malta Gaming Authority). Read on and learn more about this top online casino for players in Canada below. 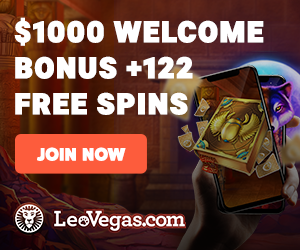 Like any of the top online casinos we feature on our site, Gaming Club casino has a great welcome bonus waiting for Canadian players after registering. The casino bonus is separated into two stages. The first phase involves 100% of your first deposit up to CAD$200. When the player makes their second deposit, they receive 150% of the respective amount up to CAD$150. However, CA players do not have to deposit these specific amounts. If they wish, they can deposit less, and they will be awarded a smaller bonus. Both the first and the second deposits must be made within seven days of signing up at the online casino. Online casino welcome bonuses are great. But then again many online casinos are aware of the fact that once a player signs up, the sure way to retain them is to continue offering them generous rewards. As a result, every time a player gambles at Gaming Club casino, they earn loyalty points. When the player accumulates enough points, they can convert them into casino credits. Additionally, the online casino has daily, weekly and monthly promotions. The prizes from these offers include anything from casino credits, free spins, cash and a chance to win big rewards such as luxurious holidays, gadgets and 5-star cruises. That’s not all; the casino also offers weekend and midweek percentage bonuses. This is based on the player’s gameplay, and they will be notified through the email if they are eligible. VIP casino players get extra rewards. These include more casino credits and bonuses, personal VIP account manager, additional free spins along with quicker withdrawals, other special privileges and exclusive promotions! Live Chat: Accessible directly from their website. In addition, players can also make deposits and withdrawals in Canadian dollars. This is good for the players as they will not face any additional exchange rates. Like many online casinos that are powered by Microgaming, Gaming Club has a wide range of casino games for both veterans and novice players. Canadian gamblers can spin on a variation of video slots that include the all-time favourites such as Tomb Raider and The Dark Knight. Table games fanatics are not left out. Gamblers that love different table comes will be able to choose between Baccarat, Roulette, Craps, Blackjack and much more. More so, the online casino hosts blackjack tournaments and competitive players will love this. Live dealer casino games are also featured at Gaming Club. Canadian players can enjoy these games through real time videos in high-definition feeds. The standard trio of the table games – Roulette, Blackjack and Baccarat are all available at their live dealer casino. It’s also important to note that the casino also features different online casino games that range from Bingo, Keno to instant win scratch card games! Players in Canada can also access the online casino from their Android, iOS, or Windows devices. However, the casino does not have a mobile application yet. To play their desired online casino games, CA players have to visit Gaming Club’s casino directly from their mobile browser. Most games that are available on the desktop version can also be played on the mobile version of the casino. Being in the industry since 1994, the online casino’s experience can easily be noticed in its exquisite graphics and excellent sound effects. Let alone the fun and exciting 600+ casino games available on their website. The Microgaming software further raises the level of the casino games with its crisp and easy navigating system. The online casino has a support team that is available 24/7, all year round. This means that they always have their door open for CA players.